World-class cooling systems training delivered by leading experts. WTS 0050 “Cooling Water Systems & Evaporative Cooling” is an intensive one day cooling water training course developed by the industrial and process water treatment specialists at WTS. The course is designed for plant operators, water treatment service engineers, facilities managers, maintenance and engineering contractors, and those with responsibility for commercial and industrial cooling towers and other cooling systems. WTS 0050 provides a review of common cooling water systems and cooling towers including open recirculating and evaporative cooling systems. Candidates taking this course will gain an understanding of the issues that affect the performance of cooling systems including the formation of scale, suspended solids, metallic corrosion and bio-fouling, and how to deal with them effectively. Additionally, the course also covers a number of practical examples, including how to conduct basic fault-finding investigations and the development of cost effective cooling water treatment solutions. General introduction to the use and application of cooling water systems and our expert trainer. UK Health & Safety Executives ACOP L8, HSG274 etc. Who would Benefit from our Cooling Systems Training Course? 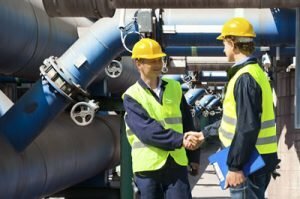 Typical candidates benefiting from WTS 0050 will be plant operators, water treatment service engineers, facilities managers, maintenance and engineering contractors, and those with responsibility for the operation and maintenance of commercial and industrial cooling towers and other cooling systems. What will you Learn about Treating Cooling Systems on WTS 0050? WTS 0050 will give candidates a basic understanding of the operation of cooling water systems including open recirculating and evaporative cooling systems. Candidates will gain a thorough understanding of the problems associated with scale, corrosion, bio-fouling and suspended solids in cooling systems. They will also understand the issues associated with microbiological proliferation and fouling including the risks presented by Legionella bacteria. Candidates will develop the skills to design and implement cost effective water pretreatment and treatment programmes for cooling water systems. Candidates will also develop the skills to perform basic water analysis tests and learn how to interpret the results so as to effectively monitor, control and manage cooling systems. Additionally, candidates will develop the skills to conduct basic fault-finding and prepare cost effective solutions to common problems affecting such cooling systems. WTS 0050 “Cooling Water Treatment & Evaporative Cooling Systems” is an intensive course designed for plant operators, water treatment engineers, facilities managers, maintenance and engineering contractors, and those with responsibility for the operation and maintenance of commercial and industrial cooling towers and other cooling systems. Prior knowledge and experience of cooling water systems, cooling towers and issues associated with water treatment would also be of benefit. We typically recommend a minimum of 6 months practical in-field experience before starting this course. On successful completion candidates will receive a certificate of attainment issued by Water Treatment Services for the course “Cooling Water Treatment & Evaporative Cooling Systems” – WTS 0050. How Long is the Course WTS 0050? If you are interested in this cooling water treatment training course or any of our other industrial water treatment courses and would like to receive further details, including dates and venues please contact us. Contact us now for more information about WTS 0050 or for your FREE, no obligation quote.